Ast, Balthasar van der (1593/94-1657). Dutch still-life painter, the brother-in-law of Ambrosius Bosschaert the Elder, with whom he trained in Middleburgh. He worked in Utrecht before settling in Delft in 1632. 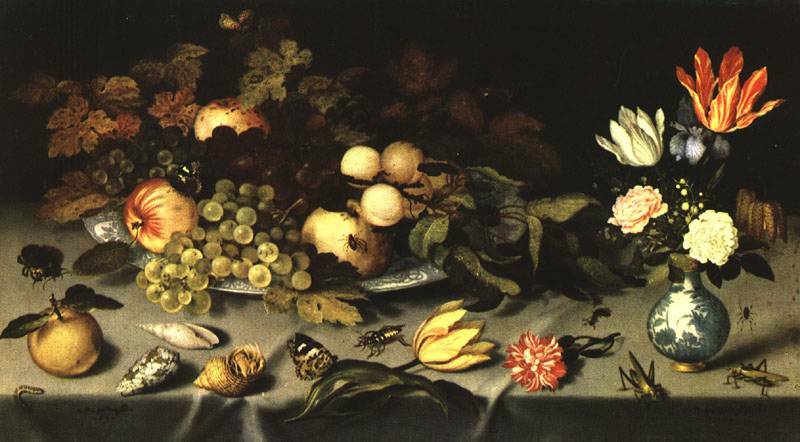 His touch was less exquisite that Bosschaert's, but his range was wider, his paintings often including fruit and shells as well as flowers. Jan Davidsz de Heem was his pupil in Utrecht.